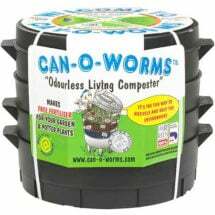 I’m a big fan of composting because it really helps the soil and it helps me recycle household waste and turn it into something useful. 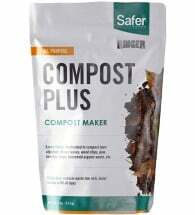 Compost improves soil tilth; helps maintain a neutral pH, and allows the soil to hold more nutrients and water (it can literally quadruple the soil’s ability to store water). Compost is to your garden what spinach is to Popeye. 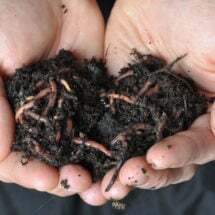 Finally, compost feeds earthworms and microbial life in the soil — which, in turn, support your plants. It doesn’t matter what kind of soil you have. All soils can be improved with the addition of compost. You can compost almost all the organic matter from your household including garden cuttings, vegetable peelings and even eggshells. Any meat scraps or dairy products are a no-no. These attract rodents and can stink up your pile. Tea leaves and coffee grounds are great additions because they contain caffeine, a natural herbicide. For complete instructions on how to make compost see our composting guide. In terms of how much compost your garden will need, it depends on soil health as well as the length of your gardening season and the amount of rain your area receives. 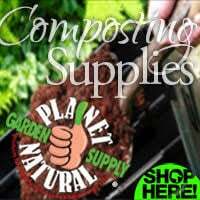 The longer the growing season, the more compost you will need. Also in rainy climates more of the compost nutrients will wash away during rains, so plan accordingly. 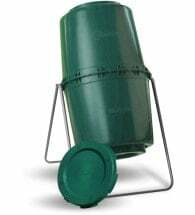 Clean and effortless, these efficient compost bins and tumblers deliver nutrient-rich “garden gold” without all the mess and fuss of traditional heaps. Now, let’s rot! 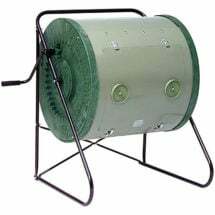 Composting involves mixing kitchen, yard and garden waste in a pile and providing conditions that encourage decomposition. The composting process is fueled by all kinds of microscopic organisms (bacteria, fungi) that take up residence inside your compost pile, continuously devouring and recycling it to produce a valuable soil amendment and rich organic fertilizer. Sound complicated? It’s really not. All you need to know are a few basic guidelines to keep your pile cooking. Size. Make your pile at least 3′ x 3′ x 3′ – smaller piles may not heat properly and larger piles can become unmanageable and hard to turn. Learn more at Cornell Universities Compost Physics page. Moisture. For best results, the moisture content of a compost pile should be between 40 and 60 percent. In other words, your pile should be moist, but not sopping wet. Heat. As they break down organic matter, the organisms responsible for composting generate large amounts of heat which raises the temperature inside the pile and speeds up decomposition. A “hot” pile will produce temperatures between 140 and 160˚F. How hot is your pile? 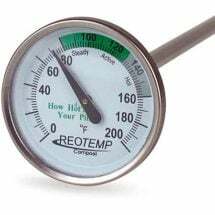 The REOTEMP Compost Thermometer is ideally suited for measuring the core temperature of a compost bin or pile. 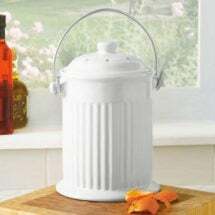 Measures temperatures up to 200°F and includes three temperature zones to help keep your pile “cooking!” Composting guide include. Oxygen. 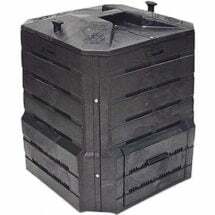 Keep your pile aerated by turning the pile – oxygen keeps the microbes that break down your compost happy. Use a pitch fork, spade or compost turner to mix the pile often. 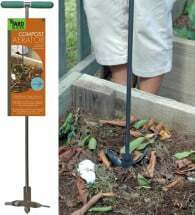 Don’t aerate your compost and it will break down slowly. Ingredients. Make sure to include carbon-rich “brown” materials like leaves, straw and sawdust and nitrogen-rich “green” materials like grass clippings, vegetable peelings and manures (no pet droppings). 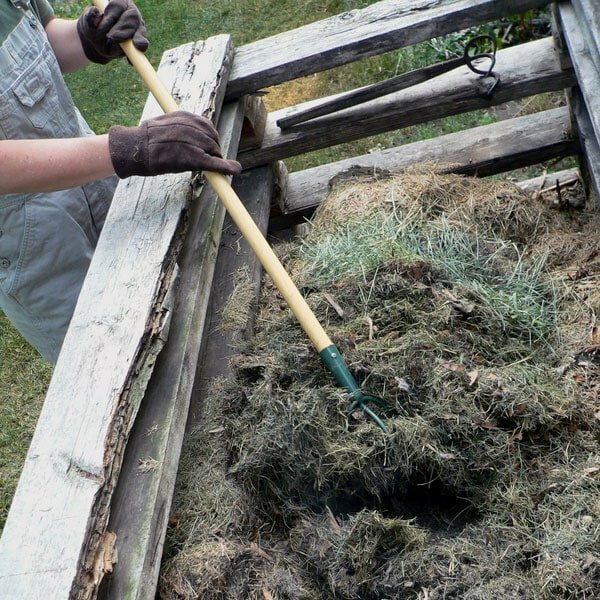 When adding ingredients to your compost pile, try to mix a ratio of three parts brown materials to one part green. A well-balanced “diet” will ensure that composting doesn’t take too long and that you don’t end up with a slimy, smelly heap. 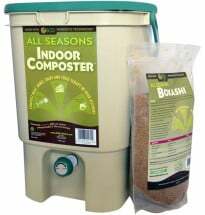 Once you have achieved finished compost, you can add it to your garden any time of year without the fear of burning plants or polluting water. For best results, add compost at least two to four weeks before you plant. That will give it time to work its magic and integrate with your soil. Try to work the compost in at least six to eight inches deep and shoot for a ratio of compost to soil of about half to half. Also, consider “side-dressing” your rapidly growing plants with this “garden gold” during the late spring or early summer. Place the compost at the side of the plants and gently incorporate it into the soil. Keep the compost about an inch away from the stem of the plant. We believe that these restrictions will be strictly enforced. 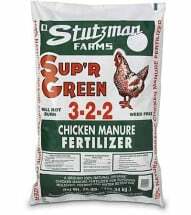 Among the growers most at risk of manure rule violations are those that use organic media for direct greenhouse production of salad greens, edible flowers and baby vegetables, because the time from seeding to harvest is brief. This specialty market is a significant one for many organic producers, and serious errors can result in a loss of certification, bad publicity and even endangerment of public health. Provided by the National Sustainable Agriculture Information Service (ATTRA).